Birthdays: Birthdays may only come once per year, but if you’re working in an office with a few dozen people, that means you’ll be celebrating a birthday pretty frequently! When it comes time to get food for a little office celebration, you’ll save money and get better quality food when you call office party catering in Baton Rouge, LA, as opposed to simply going to a grocery store or ordering from a random restaurant. For Long Meetings: Many times in a corporate setting, there are meetings that take up a whole day or go way over schedule to encompass many hours. When it comes time for lunch, people are tired and just want to relax for the few moments that they have in between long meeting sessions. 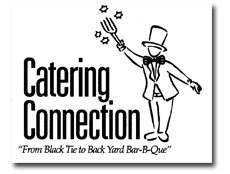 Surprising these folks with office party catering in Baton Rouge, LA will give them a sense of relief and relaxation, simply because they don’t have to run out and waste their down time finding food and eating it hurriedly! Any time you can think of a reason to throw a party in the office, it’s a valid reason to call Catering Connection for some superb catering. With dishes and sides for everyone, anyone attending the shindig will find themselves with a plate full of food and a mouthful of conversation.